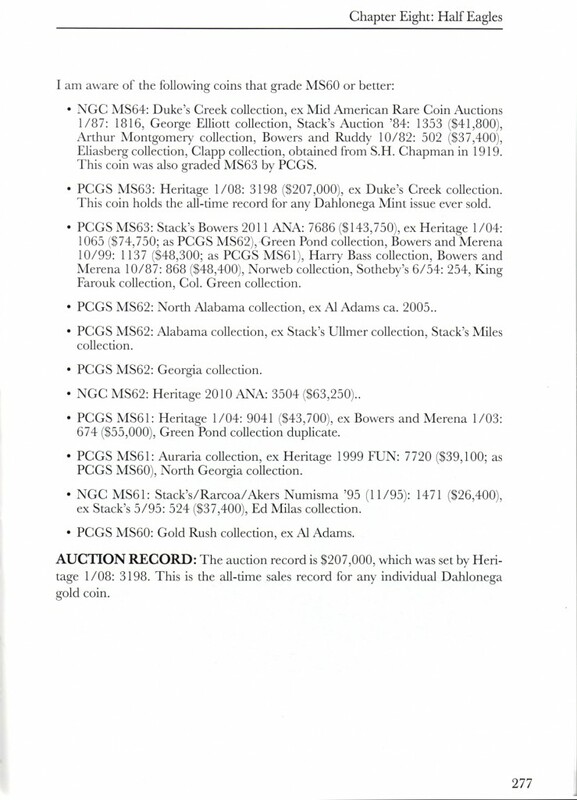 The third edition of my Dahlonega gold book was published in August, 2013, after much anticipation. This edition was a labor-intensive project spanning the last couple of years, and I am very pleased with the effort. The third edition features full-color photos, updated variety information, and has very current information regarding auction histories and significant known pieces. The significant pieces and auction records were updated in the spring of this year (2013) so they are as up to date as a book could possibly be! I will gladly autograph your copy at future conventions – just drop by my table. I’m so pleased with the new edition that I am including a sneak preview of one of the more popular coins, the 1861-D half eagle. If you want to discuss Dahlonega gold, feel free to contact me directly by phone or email.